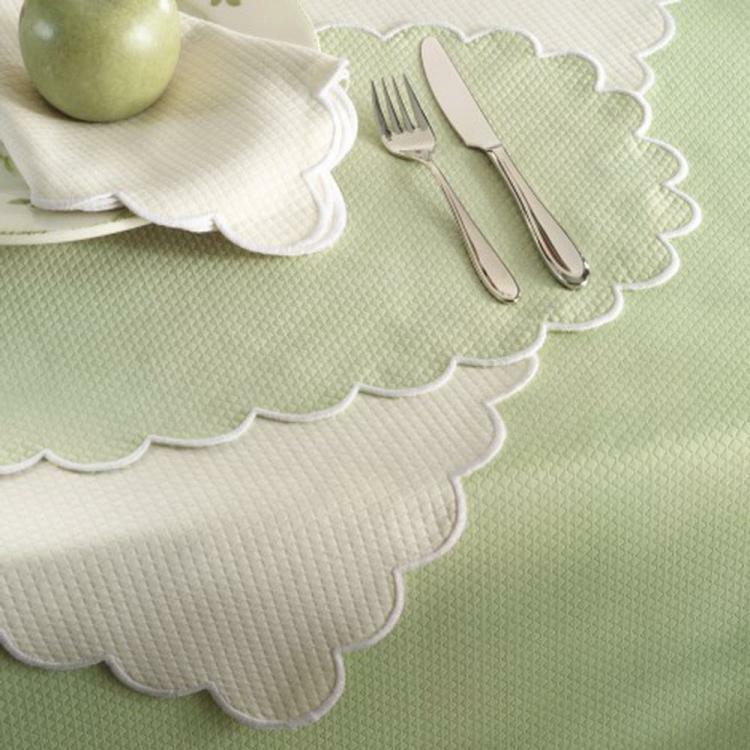 In classic diamond pique with a scalloped edge, Savannah Gardens is a longtime staple of the Matouk table linens collection. 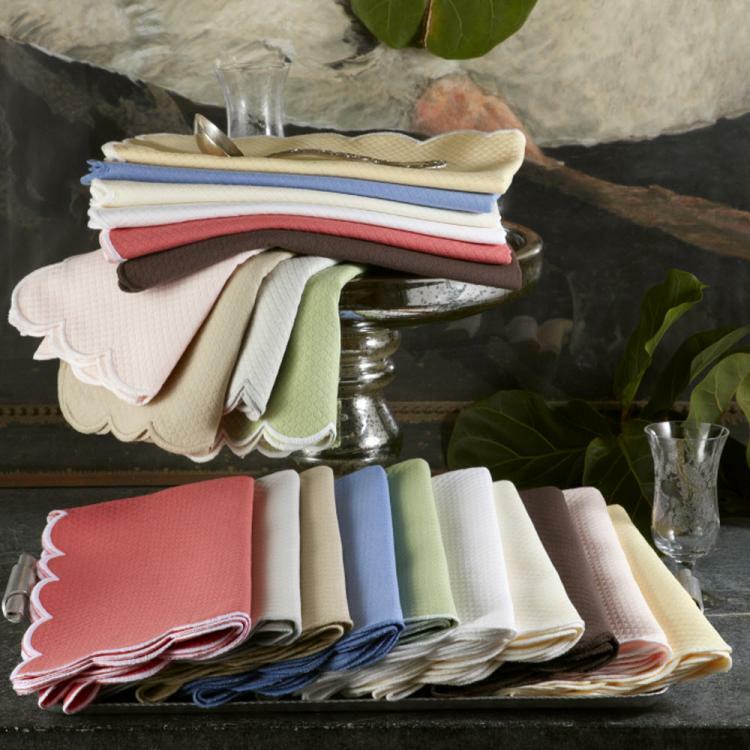 Done in a cotton/polyester blend, it is easy to care for, making it ideal for every day. 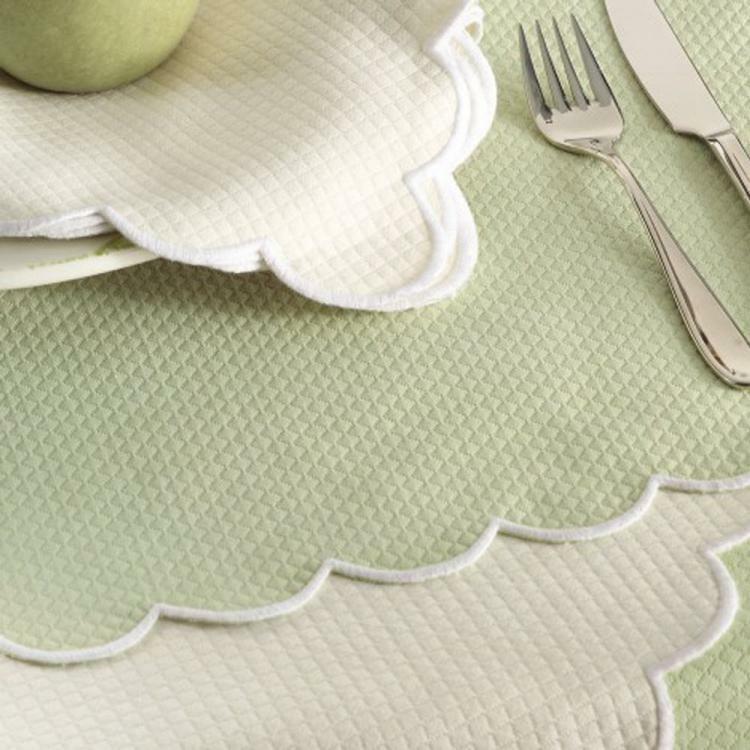 The Savannah Gardens Collection is available in twelve colors to mix and match to make the perfect bouquet of color for your table. If you need a size or shape that is not listed below please contact us, several custom sizes are also available. Recommended Care: Machine wash warm. Do not use bleach. Tumble dry low heat. Iron as needed.